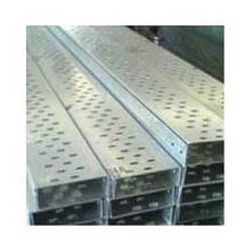 Manufacturer & Supplier of Galvanized Steel Cable Trays. Our product range also comprises of Cable Trays, Perforated Cable Tray and Stainless Steel Cable Trays. Our company is counted among the most prominent manufactures and suppliers of finest quality Galvanized Cable Trays. Manufactured in compliance with industry set parameters, using best quality steel, these trays are used to support to the electric wires in residential and industrial buildings. Known for their seamless finish, light weight, rust resistance and a nominal market price, these cable trays are highly demanded by our clients. Our company is engaged in the manufacturing and supplying of premium quality GalvanizedSteelCableTray Hot. These cable trays are manufactured under the strict supervision in our equipped infrastructure. Before the final dispatch, our cable trays undergo several quality checks by the quality controllers. Known for their sturdy construction, seamless finish, heat resistance and cost-effectiveness, these cable trays are widely demanded by our clients. we are Manufacture of PreGalvanizedCableTrays. These galvanized trays are precisely manufactured under strict supervision using advanced machinery and latest technology. Before the final dispatch, offered trays are rigorously checked by our quality controllers on several of their check points. Known for their fine finishing, light weight and durability, these hot dip galvanized trays are widely demanded by our clients. 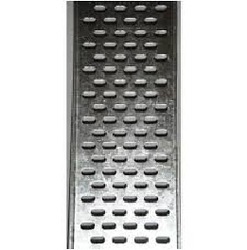 We are among the leading manufacturers and suppliers of premium quality Dip GalvanizedCableTrays. Manufactured from high quality steel, these trays are rigorously checked by our quality controllers before the final dispatch. Our offered trays are appreciated among the clients for their compact design, easy installation, chemical resistance and longer service life. 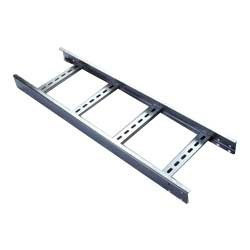 Besides, we offer these cable trays at market leading prices. 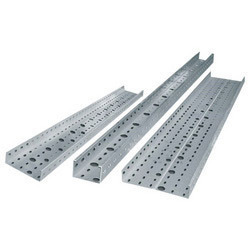 Looking for Galvanized Steel Cable Trays ?